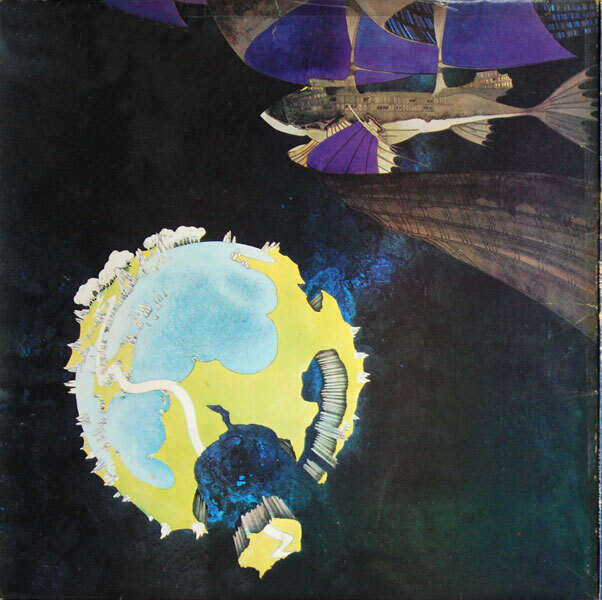 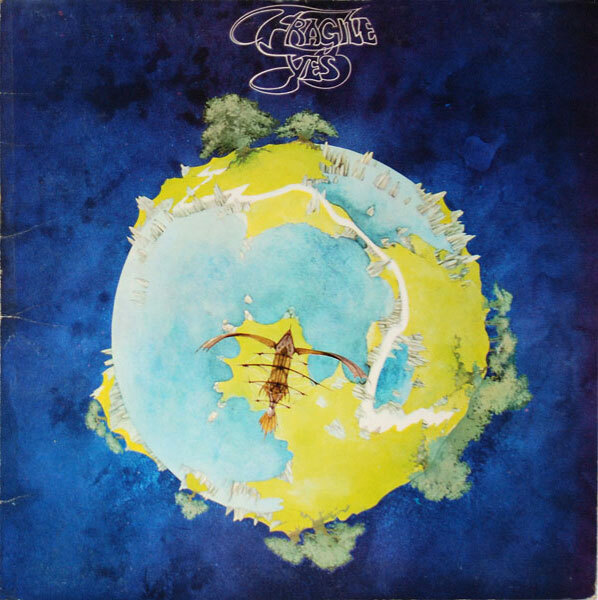 Gatefold sleeve designed by Roger Dean, the first album he designed for Yes and the start of the band’s enduring logo design. 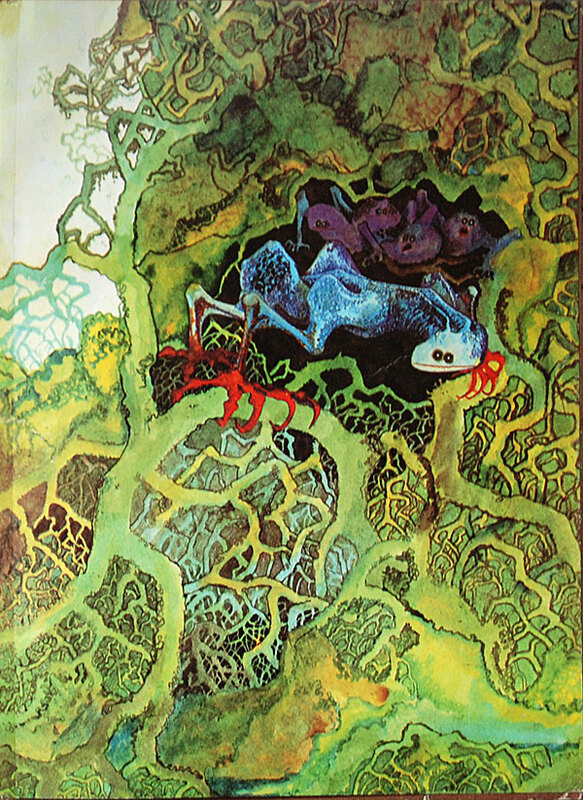 Original issues comes with a promotional booklet, again designed by Roger Dean and featuring biographies of each of the band members. 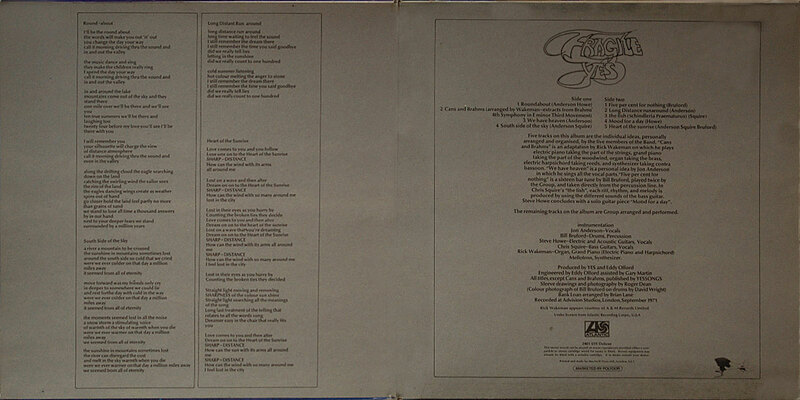 Sleeve printed by MacNeill Press Ltd (credit on inner gatefold). 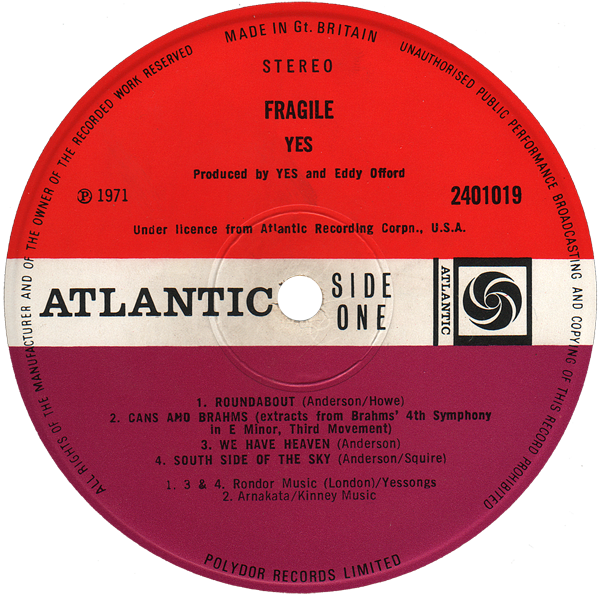 ‘Fragile’ was the first album to feature Rick Wakeman on keyboards, replacing founder member Tony Kaye (who had begun rehearsing songs for ‘Fragile’ before leaving the band).